Are you considering buying a home in San Diego? If so, you’ve come to the right place. My experienced team at 360 Residential is here to assist you every step of the way. 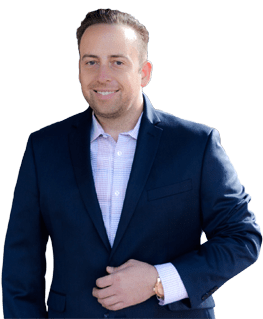 We are experts in San Diego real estate and can help guide you through the exciting, and often times confusing process of buying real estate. You’ve picked a wonderful city to make your home, but now what? Buying a home is one of the most important decisions you will make in your lifetime. It is not a decision to be made lightly and the more information you have the better. The buying process can be quite confusing, especially if it is your first time, but we are here to help. Below is an overview of the basic steps one should take when looking to purchase a home. Make sure to reach out my team at 360 Residential with any questions about the buying process. It is our goal to make your buying process as simple and easy as possible. First things first, you need to take a good, hard look at your financial situation. Having a thorough understanding of your finances is the first and most important step in the home-buying process. A few questions to ask yourself when reviewing your finances: How much money can I put down on a house? What is the value of my total assets? How is my credit history and rating? Once you have a clear understanding of your financial situation you are ready for the next step. Once you have all of your financial information together, you can approach a lender about getting a loan. Be prepared to provide the lender with documentation of your basic financial information (credit score, credit history, current debt, job history, assets, etc.) The lender will review your information and offer a preliminary pre-approval for a loan. This pre-approval will give you an idea of how much home you can afford. Now for the fun part. Once you have been pre-approved for a loan, the fun begins. Based on your pre-approval amount, you can begin house hunting. Research is key when looking for a home. It always helps to work with an experienced realtor who knows the in’s and out’s of the area you are looking in. Make sure to take your time and find a home that has everything you are looking for. Once you have found your perfect property, head back to your lender for a full loan approval. There are many different types of loans available, depending on your particular situation. Make sure to take your time and ask your lender plenty of questions. Be prepared to provide additional financial documentation. A home loan is a serious commitment, so be sure to pick the right one for you before moving forward. Once you have come to an agreement with the seller and your offer has been accepted, the final step is closing on the property. It is at this point in which ownership of the property changes hands. Closing times and procedures can vary with each individual situation, however once all is said and done, you are the proud new owner of your very own home in beautiful San Diego. Buying a home is an exciting, albeit confusing process. It is our goal at 360 Residential to help make the buying process as simple and stress-free as possible. When you are ready to buy, let us put our experience in San Diego real estate to work for you. Reach out to me, Jeffrey O’Neal, and my team at 360 Residential, to make your dream home a reality.